One drive can contain several volumes, or in case of RAID a single volume can span across multiple drives. 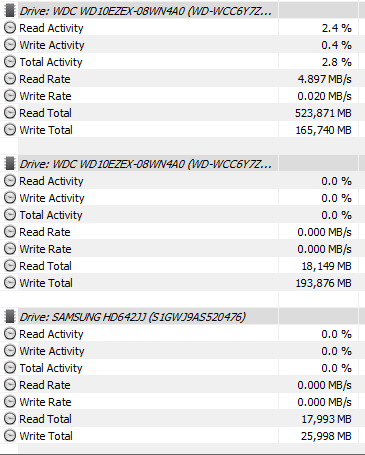 Thus HWiNFO currently uses the drive serial number to distinguish them. Although there may be one to many or many to one mappings, it would still be useful to have a simple human-knowable way to know which hd is which, because in Windows it is tedious to find the correspondence among drive letters, volume labels, and drive serials. I would suggest a context menu (right-click) option which results in something like "Drive letters on this disk: x, x, x, ..." and/or "This disk participates in the following [drive letters | volumes]: ..."